Success Stories – for a change, let’s talk about the good news! 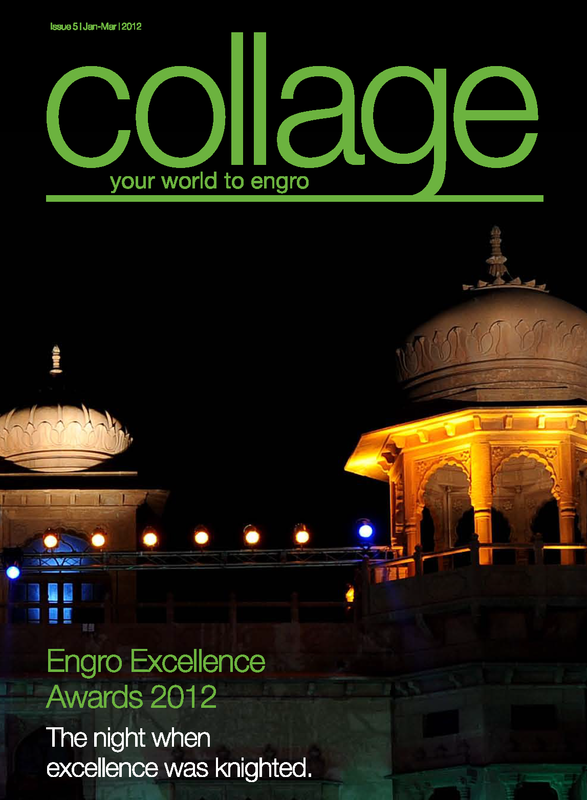 If you’re a reader of Herald Magazine, then you might have seen a section entitled “1 Hour With…” and if you happened to skim through last month’s issue you would have seen a familiar face from the Engro’s Karachi office smiling at you. 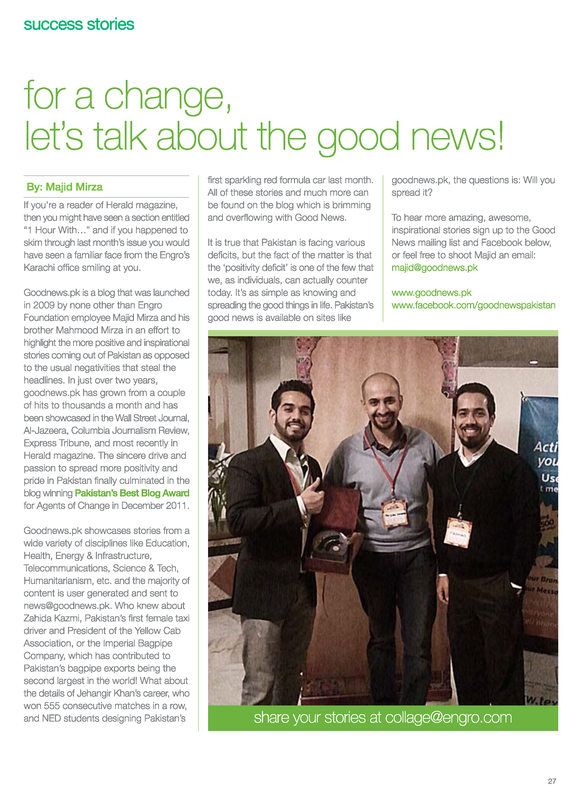 They operate from a small, comfortable room filled with smiley-faces but Majid and Mahmood Mirza, founders of goodnews.pk, have set themselves a formidable task: to polish up Pakistan’s image by focusing exclusively on positive developments in the country. Pakistan is besieged by bad news but two young brothers are trying to make a difference by focusing the world’s attention on the brighter side of life in the embattled South Asian nation. 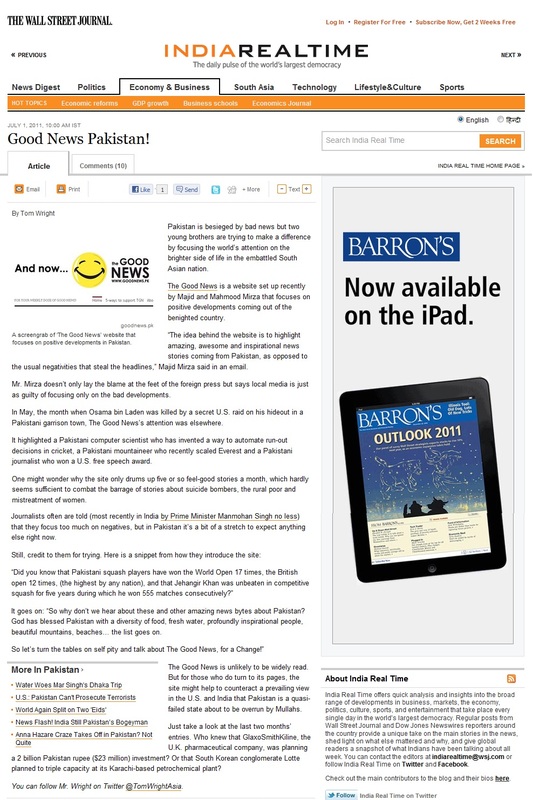 The Good News is a website set up recently by Majid and Mahmood Mirza that focuses on positive developments coming out of the benighted country. … for those who do turn to its pages, the site might help to counteract a prevailing view in the U.S. and India that Pakistan is a quasi-failed state about to be overrun by Mullahs. Thumbs up for the initiative. Search The Good News Archives! Follow The Good News Everywhere! ENTER YOUR EMAIL ADDRESS AND CLICK THE BUTTON BELOW TO HAVE THE GOOD NEWS (TGN) UPDATES DELIVERED TO YOUR EMAIL INBOX. “Best Agent of Change” at PBA 2011!